Cover art browser plugin v2.0 for the pre-installed Rhythmbox music player was finally announced by the developer, available for Ubuntu 14.04 and later. Tile-View – a grid like view completely customisable – you can have a iTunes like layout, xnoise or any other media player grid layout. Play Queue View – new to this release, further deeper integration – move to the Play Queue to see what you have manually queued. Taken together, you no longer need the side-pane – press F9 to hide and enjoy the increased screen-space to view and play your albums. 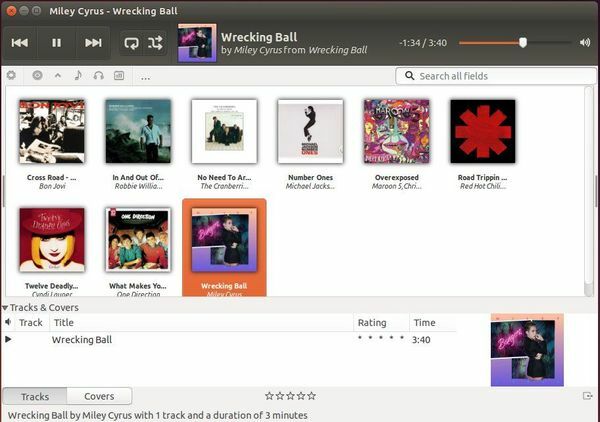 Single click has improved in this release – play – pause – add albums with one click. For detailed changes, see the link at the end of post. 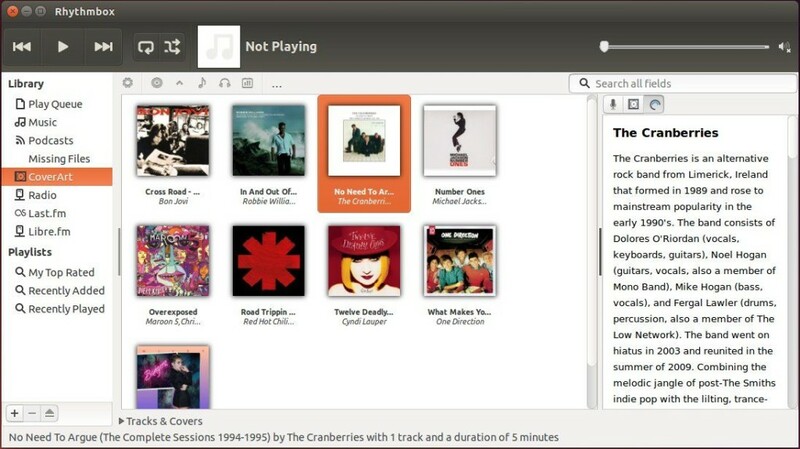 The above will add the developer’s PPA, and install the cover art browser as well as CoverArt search providers from it. Thanks for the helpful tutorial here my friend. I successfully installed this Cover Art plugin for Rhythmbox, on my new Ubuntu 14.04 lts (installed on 64gbssd in a Thinkpad X200) system. Works very good, just took a few moments to initialize & find some covers & import them. Plus a bit of time for me to learn the new layout, etc. This is a big help. I have some older Christian Music – gospel Rock CCM stuff going back to the 1980’s – and the Art work is out there for virtually all of the albums it’s just a matter of looking everywhere, including google images sometimes. You do a good job of writing concise instructions. Plus this plug in works well ! I installed my first Linux system, 9.04 back in Spring 2010, and I can say that the system functionality keeps improving. Back then, you weren’t sure if your video would work, bluetooth or wi-fi were sketchy, music importing & tags were iffy, basically most systems had many a hitch that would take a week or month of tinkering to iron out. Now, with 14.04, most everything works out of the box, seamlessly. Now, if I can just get that Brother MFC printer to install correctly, all will be well ! 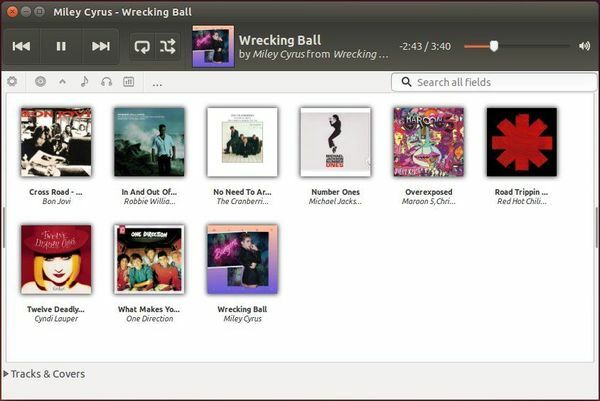 Thanks again, Ji and God bless you & the future of Ubuntu / Linux OS…..
Is it possible to use the cover art that is already embedded within the track instead of downloading from the internet?